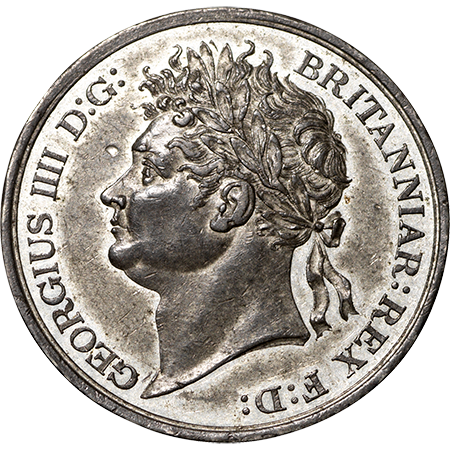 George 1V pattern Crown 1828-29 (Undated) struck in white metal. 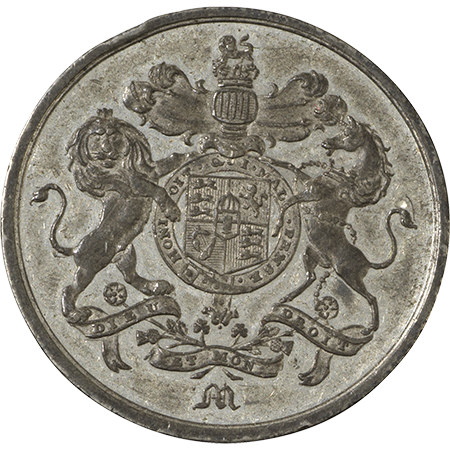 Obv' - similar to currency coins, rev' Royal arms with supporters. Letter M at bottom, edge plain. ESC 265A (R6) Three or Four examples known, therefore Exceedingly Rare. Good Extremely Fine.